Today’s gamers include the co-worker with kids, the guy next to you at the gym, and yes, the teen — male or female — still living at home. There was a time when being a gamer often brought to mind some teenage or early adult “loner” sitting in his parents’ basement. 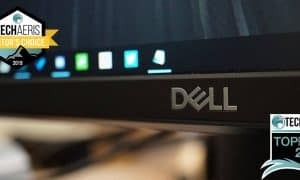 That’s not the case anymore as gaming has increased in popularity and spanned multiple devices including the typical computer, consoles, and mobile devices, as indicated by a recent study commissioned by Dell. 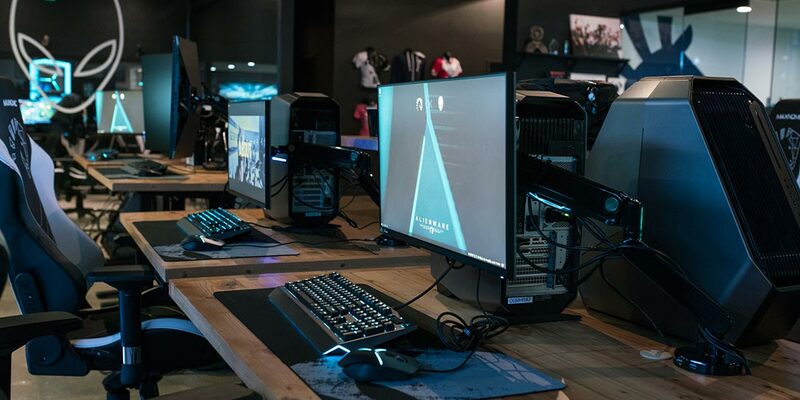 The study, which was conducted by Researchscape, asked 5,763 gamers from 11 countries which included Australia, Brazil, Canada, China, France, Germany, India, Japan, New Zealand, UK, and the U.S. about their gaming habits and their perception of their fellow gamers. While gaming takes place on various devices, the respondents were only considered for the survey if they play video games on desktop or laptop computers for at least an hour a week. 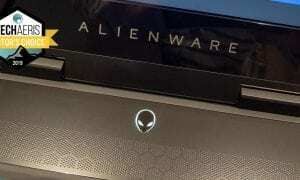 So what did the Dell Gaming and Alienware survey find? For starters, as most active gamers should know, there has been a sharp increase in the number of female gamers. Almost half the respondents — 47% — indicated that they have a female friend who plays video games, while 29% indicated they have a sister who plays video games, and 21% have a daughter who games. As far as that “loner” label? Of the respondents, the majority enjoyed spending time with family (59%) and friends (55%) while not gaming, with activities such as listening to and enjoying music (63%) and travelling (50%) topping the list of non-gaming activities. While gamers are more likely to sacrifice sleep or eating in order to game, they are less like to skip out on social commitments like holidays, hanging out with friends, or family birthdays. While perceptions are changing there are still gamers — less than 1 in 10 — who are embarrassed at being called a gamer and feel that they are judged or viewed as childish for playing games. On the flip side, more respondents consider being called a gamer a positive thing and feel like it’s fun, cool, and exciting. Today’s gamers play for various reasons with relaxation topping the list (60%), followed by passing the time (51%), and relieving stress (49%). There are added benefits of gaming as well with 39% of gamers feeling like they are more strategic thinkers because of their time spent gaming. Other benefits include improved hand-eye coordination (37%), increased reaction time (36%), better teamwork skills (27%), and improved leadership skills (27%). 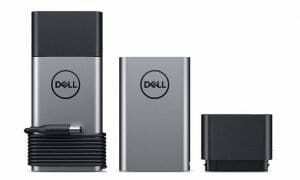 Dell points out that these self-assessed benefits fall in line with a recent study undertaken by the Royal Melbourne Institute of Technology which found teens who game often had higher scores in math, reading, and science. To further solidify how dynamic today’s gaming community is, nearly half of respondents were in their 20s (26%) or 30s (22%); 12% were teenagers (14-17). 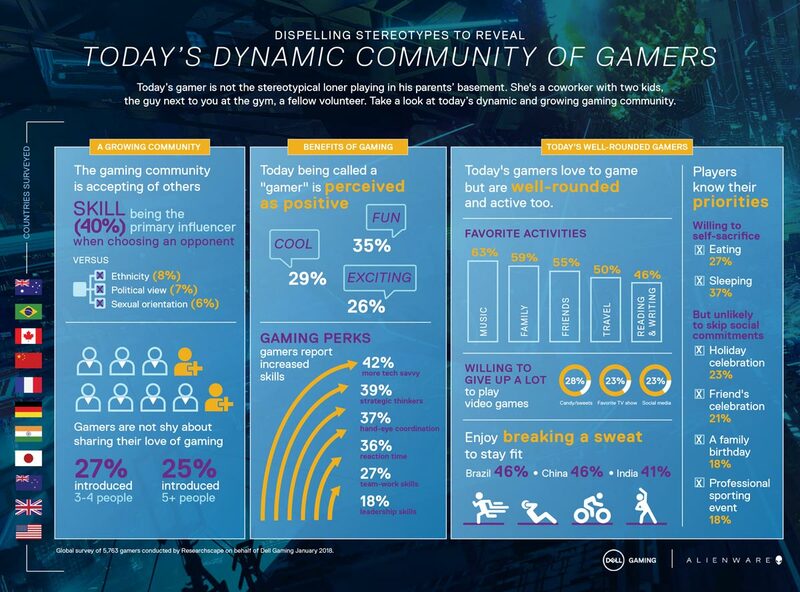 Gamers were split nearly evenly male (52%) and female (47%). Many were married and living with a spouse (42%) or a partner (15%), and half had children or stepchildren (52%). Check out the infographic below for a few more insights from the study. Dell’s State of Gaming Infographic. So next time you head online for some gaming, you may just be playing against a co-worker with kids, the guy next to you at the gym, and yes, the teen — male or female — still living at home. What do you think about the Alienware study and infographic? Are you one of today’s non-stereotypical gamers? Let us know in the comments below or on Google+, Twitter, or Facebook.